Judging by the internet lately, a lot a lot of people have bought a PlayStation VR recently. If you're one of them, make sure you check out our PlayStation VR guide, PlayStation VR review and our list of the best PlayStation VR games to help get you started. But if you're still looking for a few extra nudges and hints, here are a few tips and tricks to help you get the most from your new VR headset. If you have any specific questions or niggles, let us know in the comments below. Make sure you can plug them in to the front of your PS4 while you play if needed. As with any wireless controllers, the Moves will run out of battery while you're in VR and it's a pain to switch to a DualShock mid way through. (Also, the old PS3 ones will work, don't worry). This is one area where PSVR owners might be totes jealous of the battery powered Oculus Touch controllers. While we're on the subject, avoid the PS4 Slim if you don't own the console yet. It only has two USB ports and one of these is taken up by the cable to the Processor Unit so you can't charge your two Move controllers from the PS4 at the same time. Or turn them off. Or try a few different spots for your PlayStation Camera and VR gaming chair/couch. We've actually not had that many problems setting up the PlayStation VR at home and in the office, but we've heard a few stories that the setup doesn't like too much light or it won't track your head and controllers properly. When we were pairing the Moves in the office, we just had to switch off the lights directly above the Camera and we were good to go. It's well worth taking a second to adjust the headset left, right, up and down before you begin. But also make full use of the button on the right hand side of the bottom of the face snorkel bit. A couple of people who tried it for the first time (without our supervision) didn't get this secure enough, and it does need to be or else you'll see light coming in, ruining everything. You'll know when it's nice and tight. A second virtual screen this is. If your other half/kids/flatmates want to watch TV and you want to game, you can play 2D PS4 games on the floating looks-like screen that appears 6-10 feet away from you in PS VR's Cinematic mode. This is the view you see the menus in and if you switch the HDMI output (but keep the PS VR Processor Unit switched on) you can even play Xbox One and PC games in this mode. And every hour. Sorry to keep harping on about this, but once you get a bad case of motion sickness from PlayStation VR, it really ruins going back for a day or so. With games like Driveclub VR and the demo VR Luge in particular, you won't want to jump straight into another type of game. Before you buy, try out free demos of games like Until Dawn: Rush of Blood and Batman: Arkham VR so you can get a taste of what you're paying for. Check out our roundup of the best PlayStation VR games to play first for mini reviews, prices and what's coming up later this year and early next year – you might want to save some of your allowance. Because there's good stuff in terms of non or low-interactive experiences already. Specifically Within, Allumette, Invasion! David Attenborough's First Life VR and Littlstar VR, which has 360-degree videos from Disney, Nat Geo and the Discovery Channel. Lots more coming too. PS VR is way more straightforward for jumping in and out of games, navigating menus and getting started in VR games than pretty much any headset we've played. But if you wanna get out quick, just hit the PlayStation button. Another helpful note: to recalibrate your view if you've moved slightly in play, it's 'Options' on DualShock and 'Select' on the side of the Move controllers. Remember, your human body won't revive straightaway so when you're turning your head in Eagle Flight or heading balls in Headmaster, try to take it easy. Same goes for having 1/100th of your brain on the real objects you might crash into. 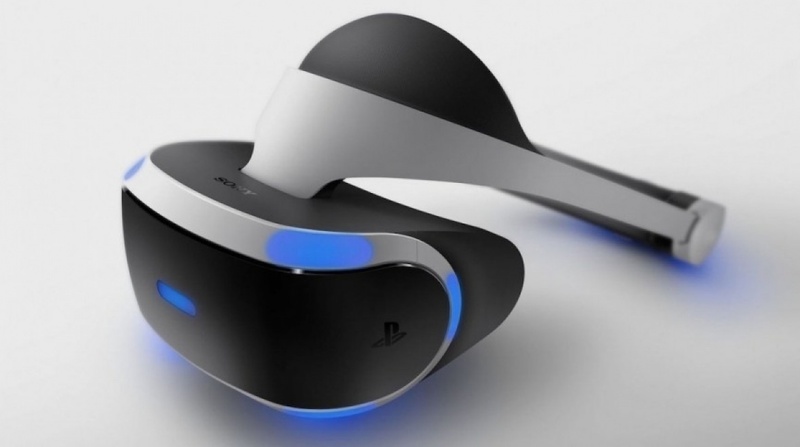 Let us know how you're getting on with the PlayStation VR and any problems you want help with in the comments below.